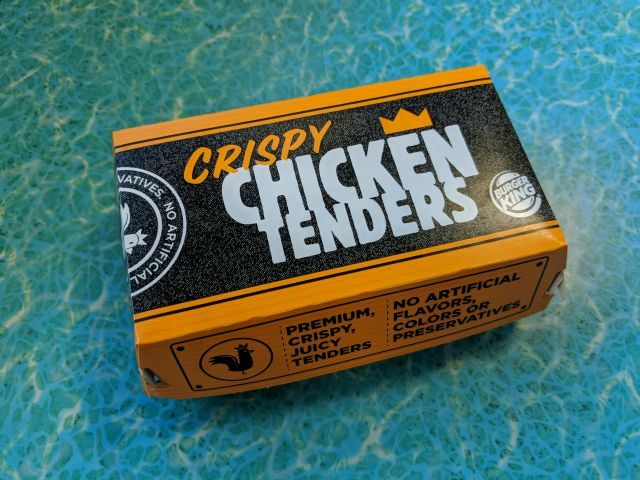 Burger King Crispy Chicken Tenders feature strips of white meat chicken coated in "home-style" seasoned breading and then deep-fried. An order of three strips was $3 with a two for $6 deal. These had a thick, craggy breading with a hearty crunch. The breading held sauce really well but was a bit heavy and skewed the chicken-to-crust ratio too much towards the crust. The flavor of it was pretty neutral beyond being salty. The tenders are definitely meant for dipping but come off as a bit too salty when eaten with sauce. The chicken inside was a bit dry (though I would guess that would vary depending on how long it's been out of the fryer). It didn't appear to be marinated or seasoned. 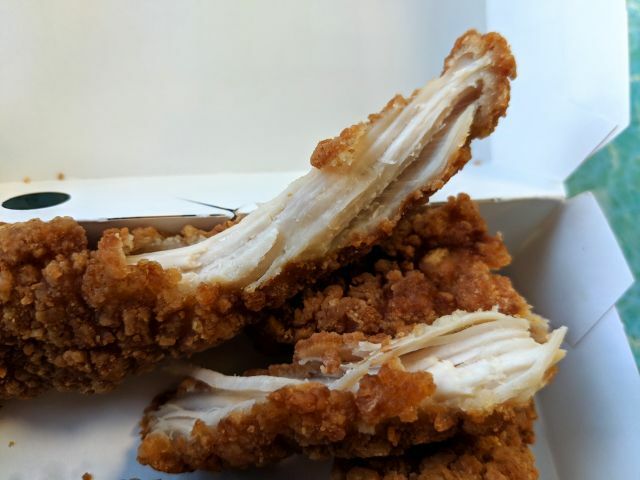 The most notable thing with my batch (and I don't know if this is just how they're doing it across the board) was that the chicken was cut into strips with the grain rather than against the grain so that the muscle fibers were running lengthwise. It didn't affect my bite but it did make these pretty difficult to tear in half. 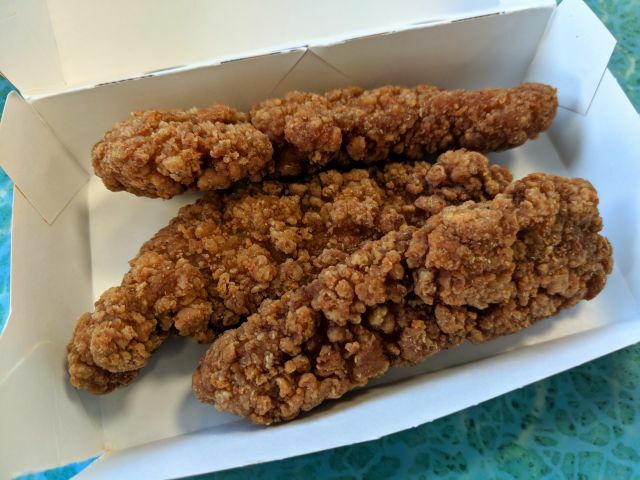 Taken together, Burger King's Crispy Chicken Tenders have too much breading for the amount of chicken per tender (unless you really just want fried, crunchy breading) and are just lacking in the flavor department. I probably would have liked these better if they have just used the same breading as their Chicken Fries. It's still crispy but is lighter and while just as salty, there's more flavor to it.